Make every beat count with a fitness wristband built with PurePulse heart rate, multi-sport modes, guided breathing sessions & interchangeable bands. 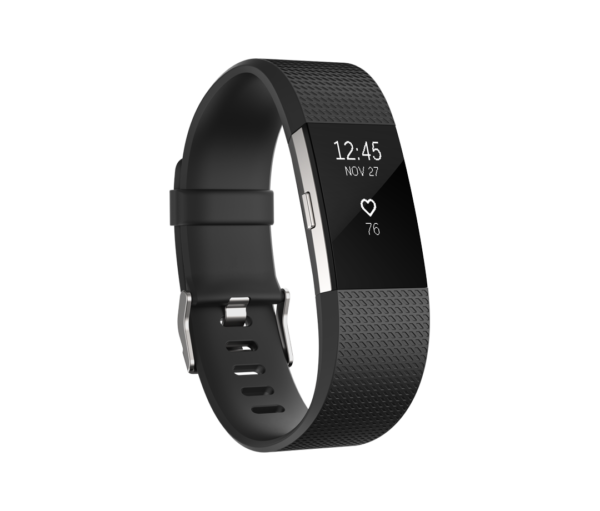 Get continuous, automatic, wrist-based heart rate & simplified heart rate zones. Track workouts like running, biking & weights and get real-time stats on display. Then see post-workout summaries on screen & in the app. Connect Charge 2 with the GPS on your phone to see real-time stats like pace and distance on display and record a map of your route.